BERLIN/MOSCOW (Bloomberg) -- Volkswagen is investing 550 million euros ($691 million) in auto-parts manufacturing in Russia and China to prepare for further growth in the countries' vehicle markets. The automaker is spending 250 million euros at its auto plant in Kaluga, Russia, for an assembly line that will build 600 engines a day by 2015, Michael Macht, VW's production chief, told reporters in Moscow on Tuesday. Separately, VW plans a 300 million euro transmission plant in Tianjin, China, a person familiar with the matter said. Volkswagen Group, which aims to overtake General Motors and Toyota to become the world's largest carmaker by 2018, is shifting focus away from western Europe, where industrywide auto sales are forecast to shrink this year. China is the company's biggest national market globally, and Russia may overtake Germany in European industry sales by 2014. "Russia is the primary strategic growth market in Europe for the Volkswagen group" and by 2018, "we intend to sell a half a million vehicles here annually," VW CEO Martin Winterkorn said at a press conference in advance of the Moscow auto show, which opens on Thursday. VW plans to spend 1 billion euros expanding capacity in Russia until 2018, Macht added. Currently, VW can produce 225,000 vehicles in the country. The plant in Kaluga, about 170 kilometers (106 miles) southwest of Moscow, opened in 2007, and last year it assembled 125,000 vehicles, including the Tiguan small SUV, Polo subcompact and the Skoda Octavia and Fabia cars. The Russian auto market is forecast to rise 28 percent to 3.4 million vehicles in 2014, according to the country's industry ministry. 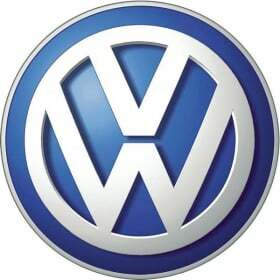 VW signed a deal in 2011 with billionaire Oleg Deripaska's OAO GAZ company to produce 110,000 VW and Skoda vehicles a year at the Russian automaker's facility in Nizhny Novgorod, 418 kilometers east of Moscow. Production of the Skoda Yeti small SUV will be the first vehicle from the partnership, with production slated to start this year. The Chinese transmission plant is scheduled to start production in 2014 and create 1,500 jobs, the person familiar with the matter said, asking not to be identified because the German carmaker hasn't yet made an official announcement. Volkswagen Group produces more than 20 models in China for its VW, Skoda and Audi brands. The company plans to invest 14 billion euros in Chinese production and models by 2016. VW already runs 11 auto factories in China, with four plants currently being set up. A Volkswagen spokesman declined to comment on the carmaker's plans in the country.